. استمتع بالخدمات الراقية والضيافة التي لا مثيل لها بهذا الفندق في ستانثورب. يقدم هذا الفندق العديد من الخدمات الكفيلة بإرضاء أكثر الضيوف تطلباً. في Honeysuckle Cottages غرف نوم يزيد عددها عن 8 صممت بذوق وعناية لتوفر لك كل وسائل الراحة . بعضها يحتوي أضاً على تلفزيون بشاشة مسطحة, اتصال لاسلكي بالإنترنت, اتصال لاسلكي بشبكة الإنترنت (مجاني), حوض الاسترخاء, غرف لغير المدخنين. يقدم الفندق خدمات رائعة كمثل مسارات المشي, مسار جولف - ضمن 3 كم, تدليك, حديقة لمساعدتك على الاسترخاء بعد نهار طويل من النشاط والتجوال في المدينة. إن كنت تتطلع إلى إقامة مريحة وهادئة في ستانثورب، فستجد في Honeysuckle Cottages بيتك الثاني. Everything was thought about amazingly! From the breakfast hamper to the fire ready to go. Would highly recommend! Wanted some time away from the city with my wife. 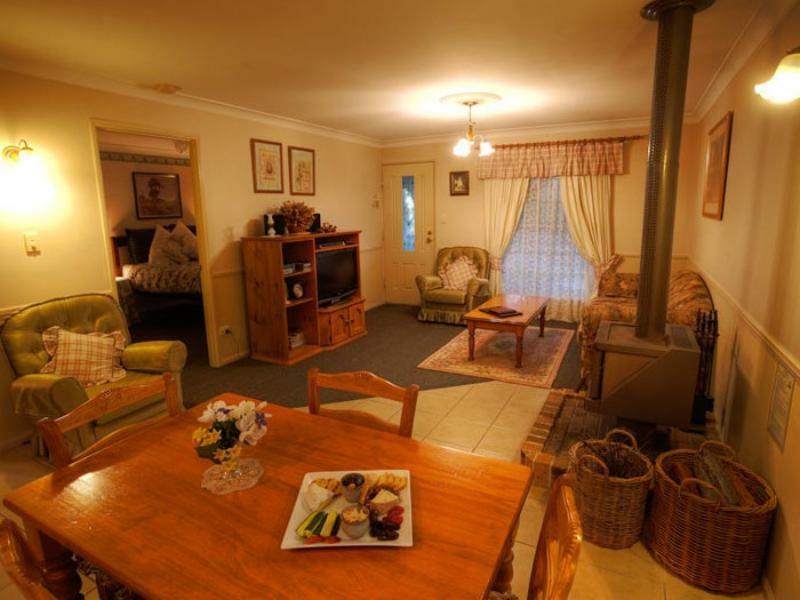 The cottages are perfect for the country type. 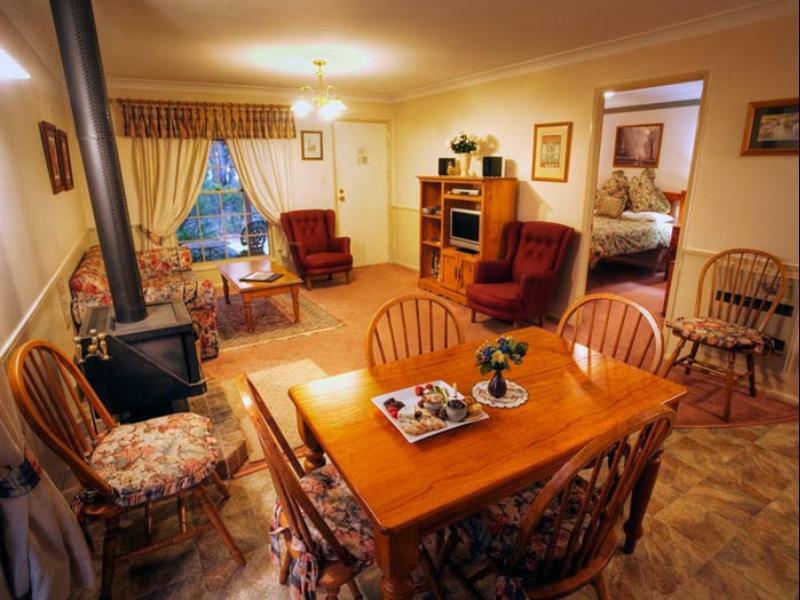 Would highly recommend visiting in winter as the cottages have wood fire heaters. Our room also had a spa. Welcome basket was packed with delicious local food. Will be back again. Only negative, its a little close to the main road and service station. The cottage was so cute and the spa bath was surprisingly huge! Everything was really clean and tidy. The only thing that we didn't like was the bed. It wasn't very comfortable and neither of us had a good sleep. The pillows didn't offer much support either. Other than that, everything was lovely. Thank you very much! 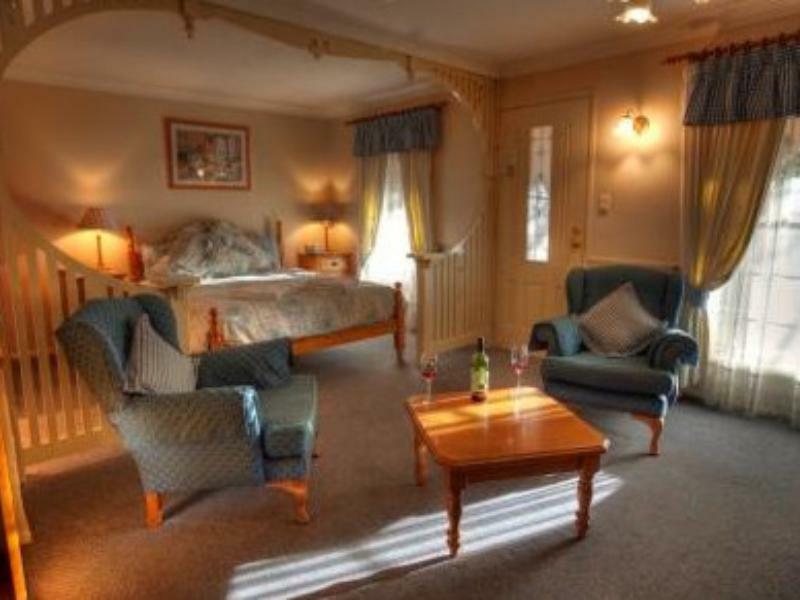 We were met with Friendly staff, provided with some information about Stanthorpe and attractions, Provided with a lovely fresh breakfast basket enough food for our two days, Cabin was very private, quiet and comfortable. Fireplace and spa bath was excellent. Excellent - restful, friendly, comfortable, quiet, top breakfast and restaurant, nothing to fault. Very comfortable and beautiful stay at the cute cottage. We will definately return one day! We enjoy to stay over there for a night. It's a beautiful place to stay and close to town. Cottge was spacious, hosts were terrific, breakfast basket was completely unexpected and fantastic. We had a great stay. The hosts could not have been more helpful. Even with his disability, my husband had a great time and they were very accommodating of his disability.